OCAD Alumnus wins prestigious Waterloo pitch competition! Fable is an accessibility platform that companies use to engage people with disabilities in user-testing. The Fierce Founders Bootcamp is Canada’s leading pitch competition for female founders, hosted each year by Communitech in Waterloo. 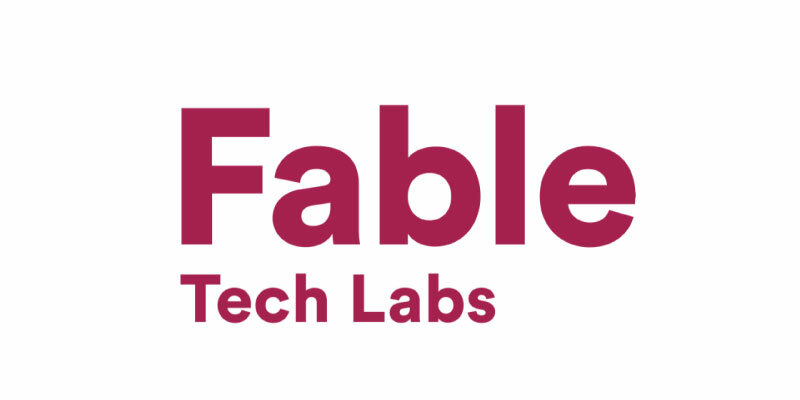 September 12, 2018 — Fable Tech Labs wins $75,000 to grow online platform that helps companies engage people with disabilities in research and user testing. Alwar Pillai’s winning pitch showcased Fable as a social enterprise, providing companies with a high quality offering while also creating flexible employment opportunities for people with disabilities. Each year, Communitech hosts the female targetted Fierce Founders Bootcamp, which ends with a pitch competition and $100,000 in prizes. Fable, a young Toronto-based startup, is a member of Imagination Catalyst, OCAD U’s business accelerator. Alwar is a graduate of OCAD U’s Masters of Inclusive Design program, where she focused her energy on co-designing technology interfaces with the aging population. The company was founded in April of 2018 and has been gaining traction quickly. As a social enterprise, Fable provides flexible employment for people with disabilities while offering an essential service to companies that are required to comply with digital accessibility standards. Read more about OCAD Alumnus wins prestigious Waterloo pitch competition! Got an idea for a business, social enterprise, or project with a positive social impact? All third- and fourth-year students are welcome to apply to this course! An assistant professor of creative business enterprise in the Faculty of Liberal Arts & Sciences and School of Interdisciplinary Studies, Weston is motivated, in part, by a desire to share those “things I wish I had been taught when I was pursuing my own undergraduate studies.” Weston explains: “After I completed my BA in silversmithing, jewellery and allied crafts at the Sir John Cass School of Art and Design, I realized that, while I had gained design skills and qualifications and sold my work as a practising jeweller, I didn’t know anything about how to start a business, especially in such a highly competitive place as London.” In order to acquire that knowledge, Weston undertook a master’s in business studies at Kingston University, where she found herself drawn to alternative businesses and micro-economies. Weston stayed on at Kingston to cap off her formal studies with a cross-disciplinary PhD, focusing on creativity in the “informal economy” during the 2000s crisis in her home country of Zimbabwe. Weston’s convictions have taken flight in OCAD U’s Minor in Entrepreneurship and Social Innovation. Co-designed and co-directed with Sarah Tranum, an assistant professor of social innovation design, the program began in September 2015. Open to students pursuing any major, it has proven highly appealing, with both core courses – SOSC 2004: Business, Leadership and Social Innovation and SOSC 3010 Creative Economies – fully enrolled. 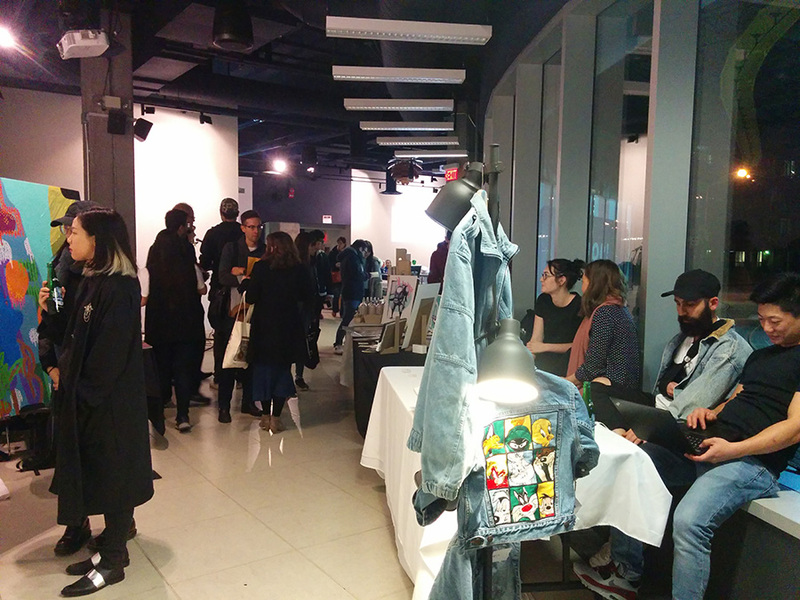 Elastic effect: Here, students took the most inspiring amount to initiative, and sold refreshments in the lobby of 100 McCaul St. to fund an art exhibition/ networking event that was the main event for their assignment. Their social mission was to give other students the opportunity to exhibit their work and network with local businesses. O-POP Art Fair: here, students' social mission was to give a platform for other students to sell their work, they got loads of people to attend the event in 49 McCaul St.
Heartlines: A selfcare colouring book made with artwork from students at OCAD U, and sold to raise money for the health and wellness centre at OCAD U. Beyond her teaching, Weston expands opportunities for students to learn about and engage in business and social innovation through her leadership of the university’s Impact Economy Research Hub — an arm of the Impact Collective, which she co-directs with Zev Farber of the Centre for Emerging Artists and Designers. A notable Impact Collective project is the extended success of the Art Works! Video, which has been newly commissioned by CBC Arts as an online series and showcases how OCAD U community members use art and design to create dialogue about social change. Morgan Holmes is a writer and editor based in Tulsa, Oklahoma. His main areas of expertise are post-secondary education, the arts, and health care. When he's not wrangling words, Morgan enjoys making a racket on the Great Highland bagpipes. The Grind sociables is a weekly event where we encourage students, faculty and alumni from the OCAD U community to join our weekly roundtable discussions. We focus on a different theme each week as we build meaningful connections, share knowledge and ideas, and demystify what it means to be a social entrepreneur. (Toronto—November 6, 2014) The McConnell Family Foundation has selected OCAD University (OCAD U) to be a recipient of the RECODE Catalyst fund, dedicated to activating social innovation and entrepreneurship in higher education across Canada. RECODE provides social innovation and entrepreneurship opportunities to college and university students, so that they may become drivers of progress and change. Support the development of campus-level social innovation and social entrepreneurship ‘zones’, along with business, community and public sector partners. Operate a national challenge and collaboration platform open to all post-secondary faculty and students in Canada. Advance society’s ability to address social and environmental challenges through collaboration and innovation across disciplines, sectors and institutions. OCAD U’s new Art & Design Social Innovation Zone will launch student-centred social entrepreneurship programs spearheaded by the Centre for Emerging Artists & Designers and through the curriculum via entrepreneurship courses. It will do so in conjunction with OCAD U’s Digital Media Research & Innovation Institute’s expansion of social innovation research capacity. Programming will include partnerships with OCAD University’s commercialization hub, the Imagination Catalyst, and build a network of community partners. This network will explore system models for mobilization, positive change-entrepreneurship, learning opportunities and participatory engagement processes — with the goal of uncovering untapped ideas, interests, resources and opportunities; and establishing programs and services needed to drive social innovation and launch social enterprises. To learn more about the initiative please visit www.re-code.ca or join the conversation on Facebook (LetsRECODE) and Twitter @LetsRECODE #LetsRECODE. The J.W. McConnell Family Foundation is a private philanthropic organization based in Montréal that supports Canadians in building a more innovative, inclusive, sustainable and resilient society. For more information, please visit: http://www.mcconnellfoundation.ca.